Every day, we are redefining the fashion, food, entertainment and leisure experience for shoppers and retailers. We are the meeting place for passionate people, ready to make their mark in the incredibly inspiring and ever-changing world of retail. The Brand Experience Assistant plays an integral part in the Customer Experience Team. Focused on delivering the administrative function within our Brand Experience team and providing support to key internal and external stakeholders, the role is broad and varied nature seeks to ensure the CX Team operates efficiently in a fast paced and dynamic environment. As a Brand Experience (Marketing) Assistant you will be responsible for executing best-in-class activation's and campaigns, partner with retailers and connect with customers and the community. This role offers a unique opportunity to work with an active and engaged team, and promises a challenging career for those passionate about Retail Property. Carry out daily mall walks including standards review, communicating with retailers and assisting shoppers. Execute campaigns, events and projects. 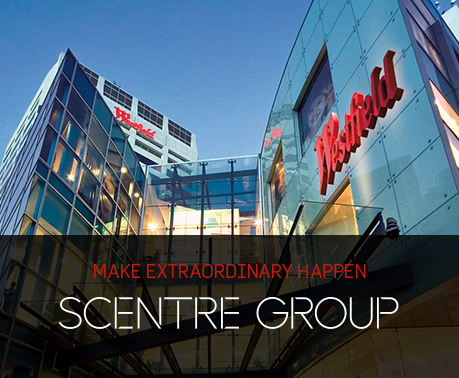 Contribute to a customer centric culture in order to position Scentre Group as the recognised leader in Brand and Customer Experience. Gathering and collating information, plus gaining an understanding of customer data, insight and measurement that will be used to inform plans and decisions. Sharing information, plans, leanings and feedback with the Asset Team, other Centres and the broader Brand & Media Experience team in a timely manner when requested. Maintain supplier databases (e.g. influencers, community groups, entertainers) to ensure they are up-to-date. Great opportunity to build your career with us in Marketing. Join a dedicated team, in a hands on role with great opportunity to grow!